Spurs dream of winning a Premier League title may be dead for another season, but let's get one thing straight - this is a team that has made great strides this season and they are closer to Chelsea than any other team. They have fallen at the final hurdle, but they've pushed the Champions far closer than any of the other Premier League giants this season. Among the sides who haven't lived up to preseason predictions is Manchester United. Sure, they've performed well in the cup competitions and may even qualify for next season's Champions League, but their league form has been absolutely woeful. This form shows in their league position and the fact that they are underdogs against a side they're traditionally stronger than. The likes of Ryan Giggs, Paul Scholes and Roy Keane would be horrified to think of United as underdogs against the likes of Tottenham Hotspur, but that's the way it is this time around and rightly so, as Spurs have been far superior all season. United are 17/4 to win this game, but we wouldn't put a single cent on them. Their concentration is now on the Europa League and it is unlikely they will play their first-choice team in this fixture. Tottenham, on the other hand, will want to finish off their best ever Premier League on a high point. Not only that, they are also playing their last ever game at White Hart Lane. The 118 year history associated with the ground comes to an end as bulldozers come in to demolish the stadium on Monday. 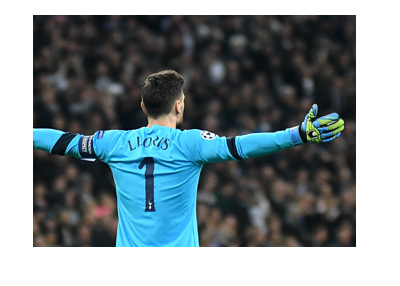 We don't see them losing this one, so the 8/11 price available for Spurs looks like a steal to us. If you think the two sides will finish honours even, you can back the draw at 29/10. Spurs' manager Mauricio Pochettino discussed how much the stadium means to the club in a brief statement during his most recent press conference. He said "I hope Sunday will be the most special day in the last three seasons. It will be special for our fans, staff, players, people who love Tottenham." He added: "When the new era and stadium arrive there will be different expectations but, most important, always in our memory will be White Hart Lane, the soul and the smell." That doesn't sound like a manager who is ready to lose on Sunday. Manchester United manager Jose Mourinho is clearly prioritising the Europa League final though. He said: "I am going to make a lot of changes. It doesn't matter what happens. And nobody can blame us." Or, in other words, back Spurs.